Golden Richards, husband to four wives, father to twenty-eight children, is having the mother of all midlife crises. His construction business is failing, his family has grown into an overpopulated mini-dukedom beset with insurrection and rivalry, and he is done in with grief: due to the accidental death of a daughter and the stillbirth of a son, he has come to doubt the capacity of his own heart. 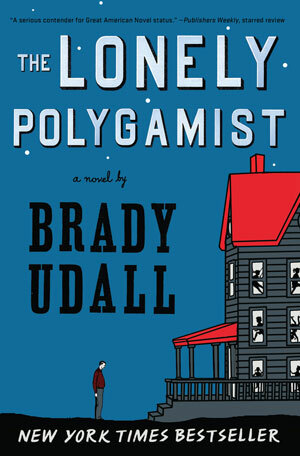 Brady Udall, one of our finest American fiction writers, tells a tragicomic story of a deeply faithful man who, crippled by grief and the demands of work and family, becomes entangled in an affair that threatens to destroy his family’s future. Like John Irving and Richard Yates, Udall creates characters that engage us to the fullest as they grapple with the nature of need, love, and belonging. 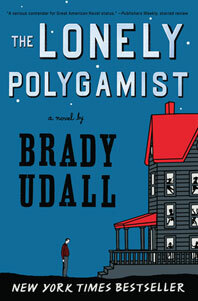 Beautifully written, keenly observed, and ultimately redemptive, The Lonely Polygamist is an unforgettable story of an American family—with its inevitable dysfunctionality, heartbreak, and comedy—pushed to its outer limits.